Sports periodization is the planning of athletic training using a progressively cyclic format with the goal of timing peak performance during the athlete’s major competitive events. Cyclic training organizes a team's approach, protects against overtraining, and enables athletes to continue to improve. When designing a strength program, coaches should implement different training cycles in order to maximize athlete performance when they need it most. Training should be organized and planned based on the competitions in the calendar, considering also the athlete’s potential, previous performances, and goals for the year. Macrocycle: Generally, the macrocycle represents one calendar year in the athlete’s training. It is oriented around the peak performance competition of that year, and phases of training are created to build up to this point. For example, an endurance athlete would use the majority of the year to prepare for competition season, working through both general preparation such as building up a cardiovascular base and specific preparation focusing on power and speed. The portion of the year immediately preceding the peak competition would include several smaller competitions to rehearse and refine the performance. The portion of the year following the peak competition would be a transition period, which would include a short break to mentally and physically recharge, and more general training. Mesocycle: The mesocycle lasts anywhere from 2-6 weeks, or occurs for the duration of a particular phase with a specific focus. For example, a strength phase may be the focus of an athlete’s training for 4 weeks, followed by a power phase for another given period of time. These smaller cycles enable athletes to progressively improve upon an area of their training in a systematic manner, such that the athlete understands the purpose behind their training and can set short-term, more manageable goals according to the cycle they are in (e.g. in a strength phase, squatting a heavier weight or completing more pull ups). Microcycle: The microcycle is the smallest cycle of training—typically one week long. Within this cycle, the training is organized primarily on number of light vs. heavy days of training, or number of consecutive sessions until a recovery session. In the general preparatory portion of the year, an athlete may train with high volume or intensity the entire week, with the exception of one recovery session. During a taper phase, the microcyle might include alternating days of moderate, fast, and recovery practices. The alarm stage with the initial shock of the stimulus to the body. The resistance stage as the body adapts to the stimulus. The exhaustion stage as repairs can no longer keep up with damage and dysfunction sets in. Designing a strength program with periodized training aims to keep the athlete in the resistance stage without ever reaching the exhaustion point. Cyclic training gives the body enough time to recover before a new stimulus and prevents overtraining. Generally speaking, the initial response to new training is poor, but the response improves as an athlete's body develops ways to handle the stress. When athletes have adapted to the stress, their training has improved and they can challenge themselves with a new stimulus. To learn more about cyclic training and progressions check out this article. Training is subject to change throughout the year, but an athlete's goal to have peak performance at a championship competition will not. 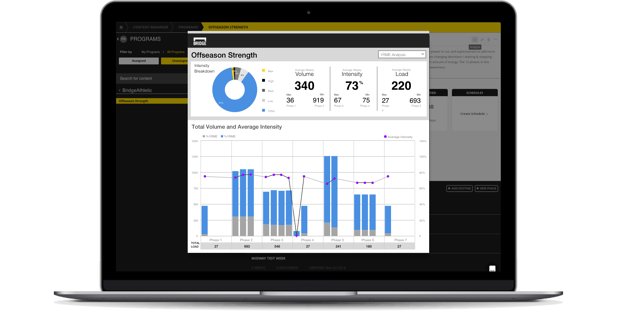 Sports periodization organizes an individual's approach to this goal and is the most effective way to train. 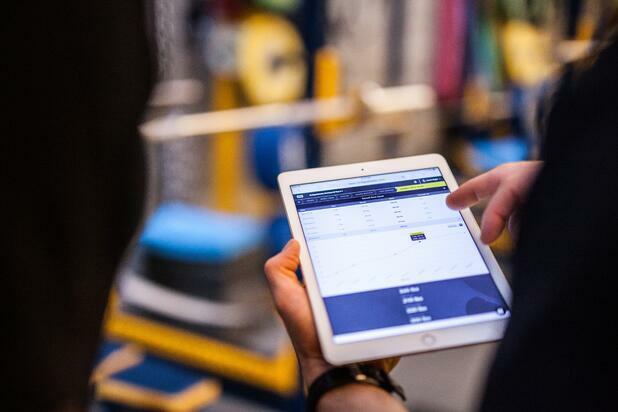 To learn more about designing a strength program for athletes check out this article.